Hello lovelies! Today’s post is something I haven’t done in a long time. I may like to start doing these again if I get a good response so please, if you like this post and would like more of them let me know in the comments! 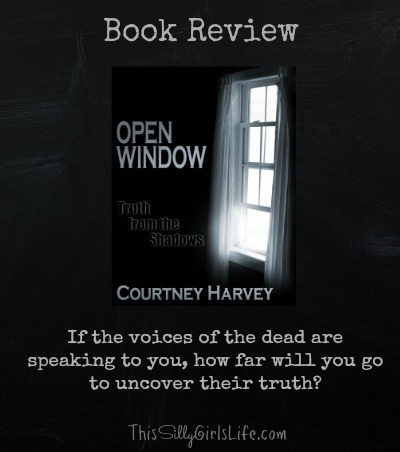 I am reviewing a book for you all from author Courtney Harvey called Open Window: Truth from the Shadows. From the first pages of the book I was hooked. Immediately we meet someone who is in the last seconds of contemplating their life. Through the eyes of a desperate, heavy hearted soul, suicide is the only option. Yet it is regretted immediately. Screaming in fear Alex Wells wakes up from another one of her ever present nightmares. So vivid, she knows what she has seen is real. Alex is your typical high school senior… or is she? Trying to hide in a crowd of like high schoolers, Alex has only a couple of close friends and is considered a “freak” by her peers. Others perception has Alex questioning her own sanity through her whole life. But she knows what she hears and feels is true. Considered a gift by others Alex finally comes face to face with what’s been haunting her… literally. Alex accepts the fact that her fate is sealed… she is a medium. She can speak to the dead. See through their eyes. Feel what they feel. Through the help of her new found paranormal friend she begins to finally be herself. But it isn’t that easy. Only a few people know of her gift, or “curse” and her mother’s denial is another unwanted constant. The spirit of a boy name Alik, around her same age, has undone business and she is the only one that can set him free. It is only when she meets Erik, the new boy at school, that the puzzle pieces start locking into place. Erik is gorgeous and way out of Alex’s league, or so she thinks, but for some reason she is drawn to him again and again. It’s only when all three reveal their hidden secrets that all can rest in peace. Until Alik’s spirit has another favor to ask…. If you couldn’t tell I freaking loved this book. I can’t wait to start the next one in the series. There will be a third book that is currently in the works and will be the last installment in the Open Window Series. 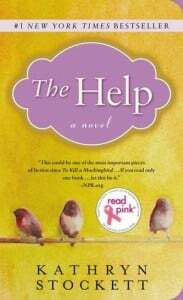 Although the book is set through the eyes of a teenager, I don’t believe only young adults can relate to the characters. It is beautifully written and extremely vivid. I feel like I am watching a movie instead of reading which to me is the best kind of books! You can find the author Courtney Harvey on facebook. To learn more about these books visit her amazon page. 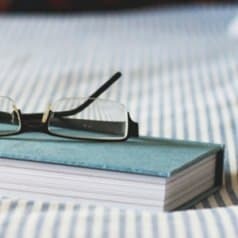 Thank you so much for reading, like earlier stated if you would like to see more book reviews from me please leave it in the comments below! 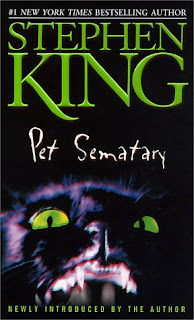 Have you read this book or series? How have you enjoyed it? This post will be linking up to these linky parties. I’m reading the next one now and I love it so far! This was a great review! 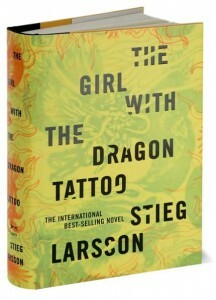 I really want to read this book now! 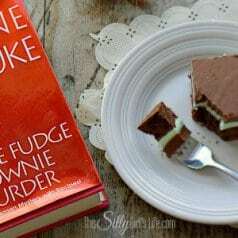 Love to learn about new books from blogs – thanks so much for leading me to this series! wow, just based on your review I want to check this out! thank you for sharing it at the Pinworthy Project Party on Planned in Pencil! This sound really good! I’m always looking for new series to read, but I may have to wait until the 3rd comes out. I tend to forget/lose interest otherwise. 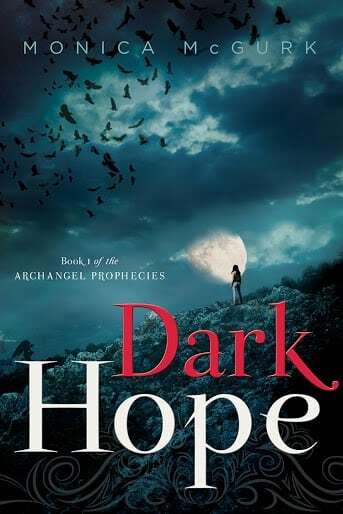 Have you ever read Dark House by Karina Halle? Similar theme but definitely adult and SO good. It’s a series too! I haven’t read that series, I will definitely look into it, thanks!